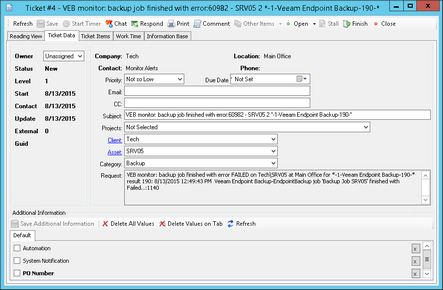 Alerts triggered by Veeam monitors can be viewed for a specific client, location, computer, or for all clients at once. To learn how to access and manage alerts in LabTech, see Alerting. Tickets created by Veeam monitors, support all regular possibilities available in the LabTech ticketing system. To learn how to access and manage tickets in LabTech, see Ticketing. 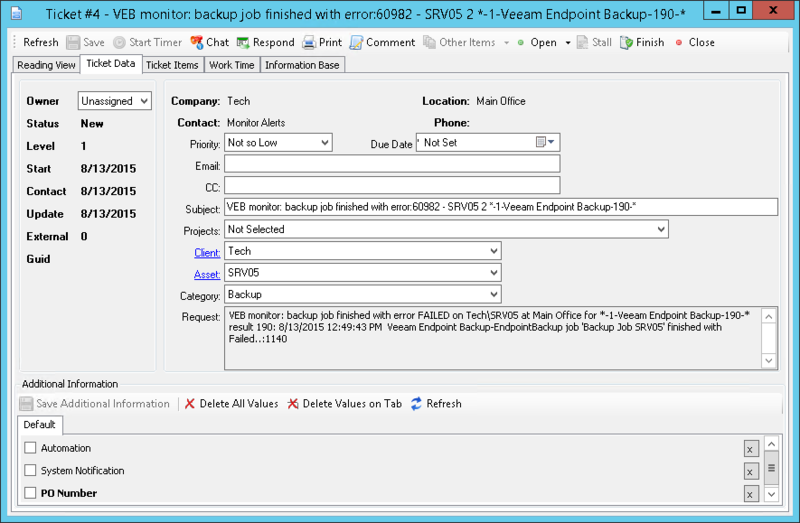 For details on configuring monitors, see Configuring Veeam Endpoint Backup for LabTech. For a list of Veeam monitors, see Appendix A. Monitors.